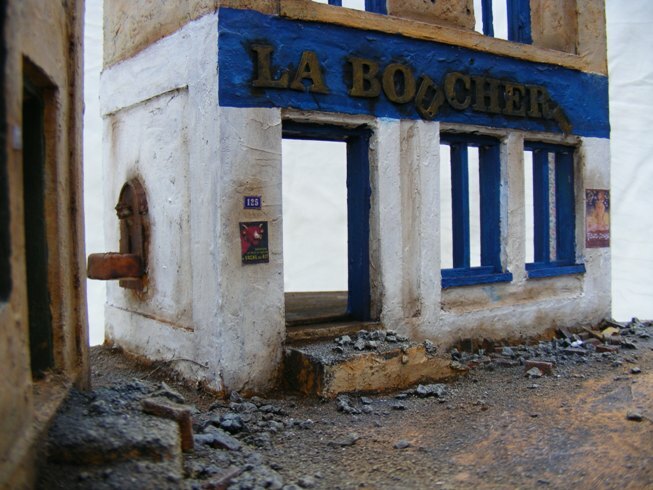 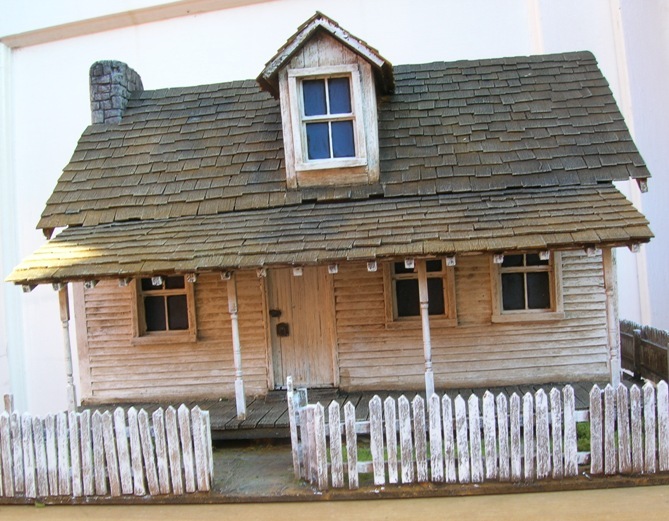 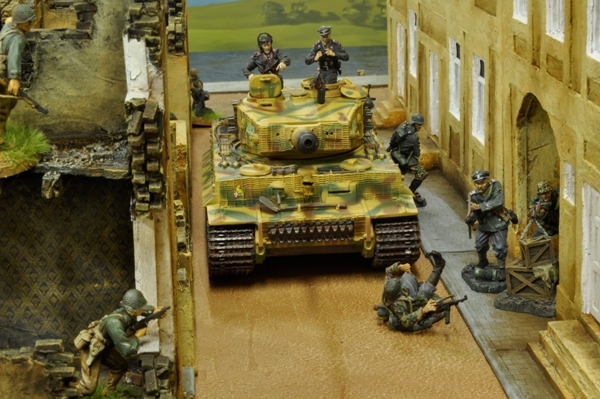 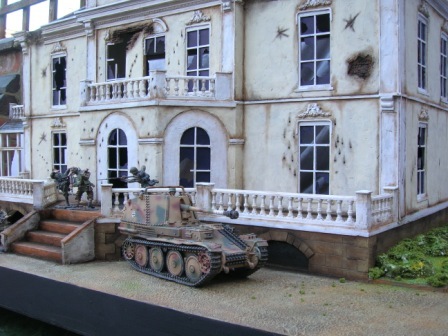 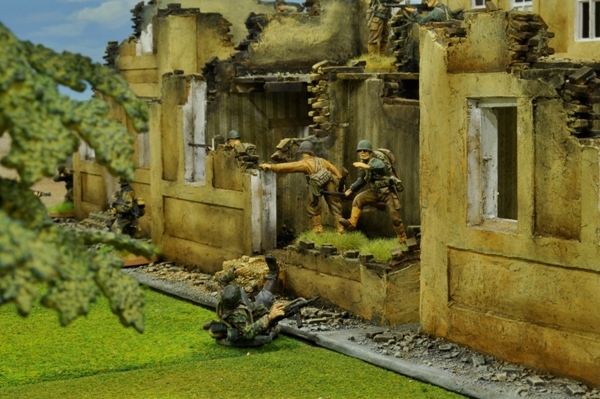 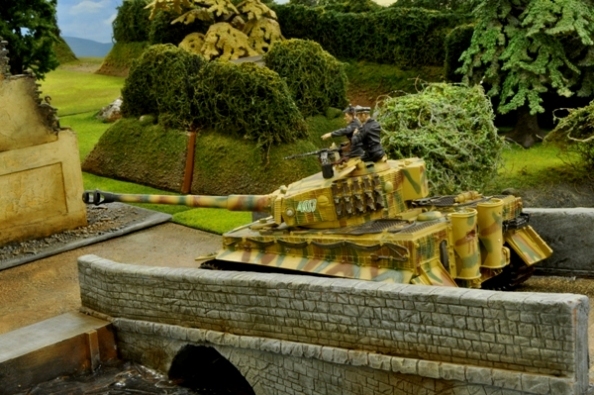 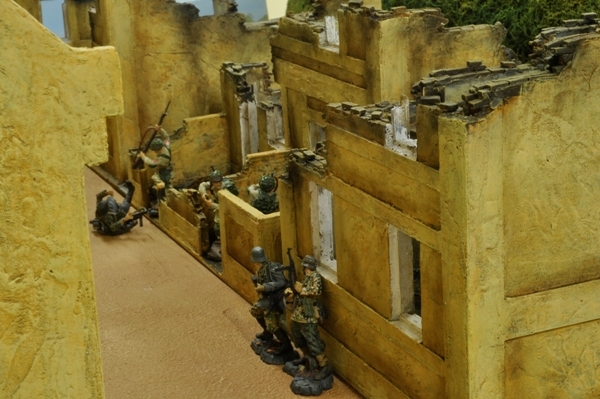 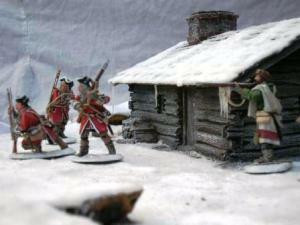 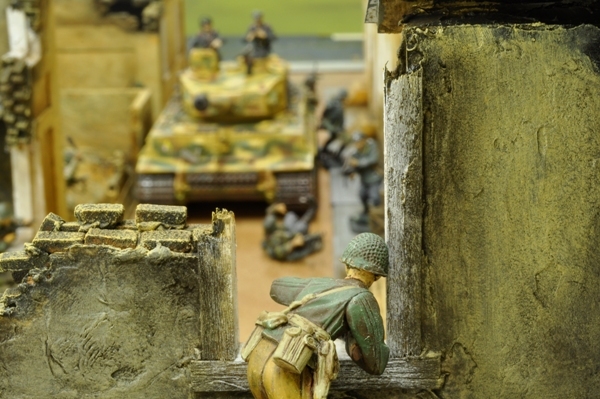 54mm work covers scales from about 1/28th to 1/35th and there are examples of houses, hotels, landscapes and dioramas. 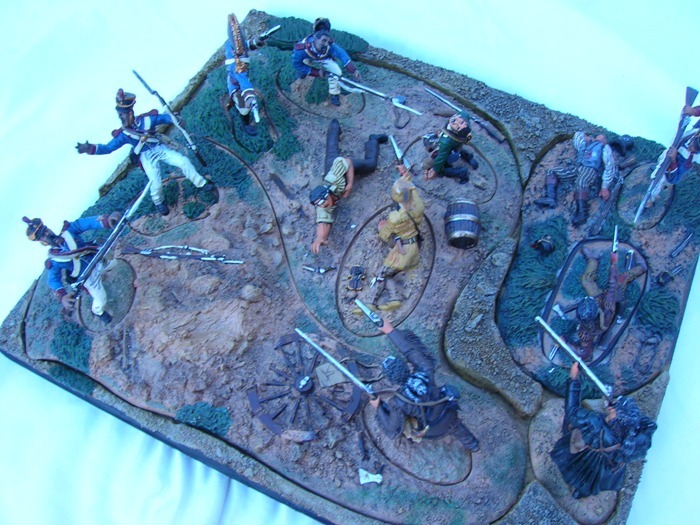 I started taking this size commissions from when we started selling the John Jenkins figures in about 2006/7. 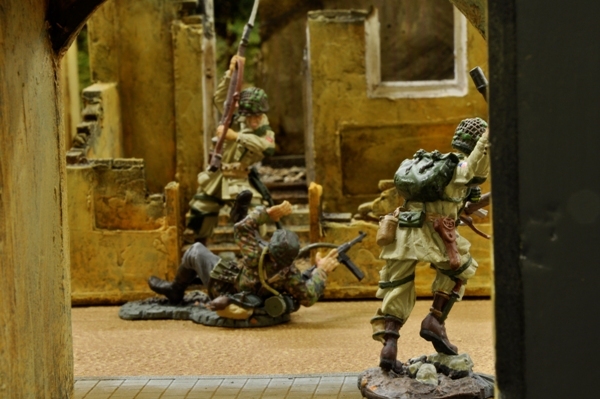 2 years later and a large proportion of my work is now in 54mm scale. 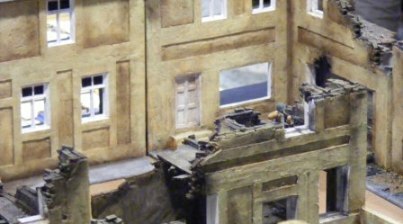 It is a very rewarding scale to work in as the size allows more detail in the model and the customer tends to get alot of 'bang for their buck'. 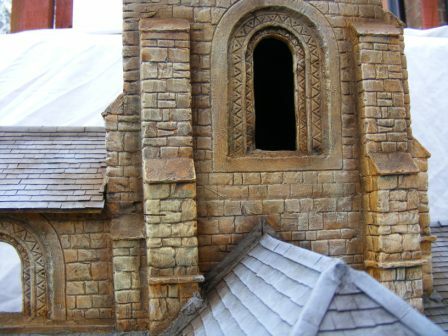 Landscape commissions are probably the most common. 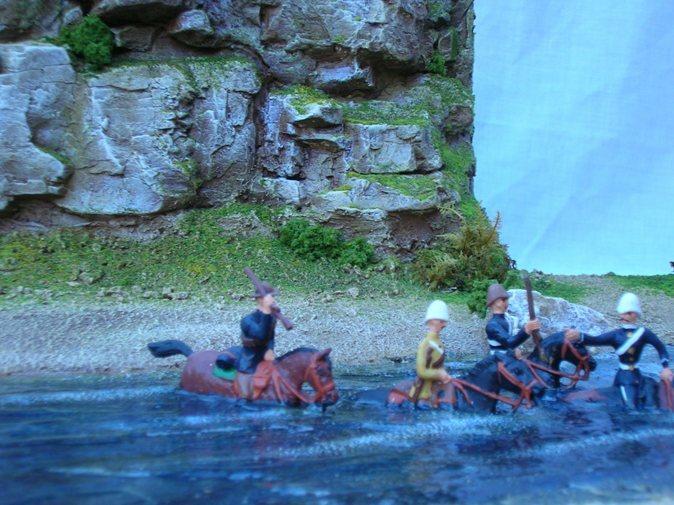 I can do a simple grass board that can suite any period and can be done in any size right up to complicated snowy landscapes with a river and log cabin. 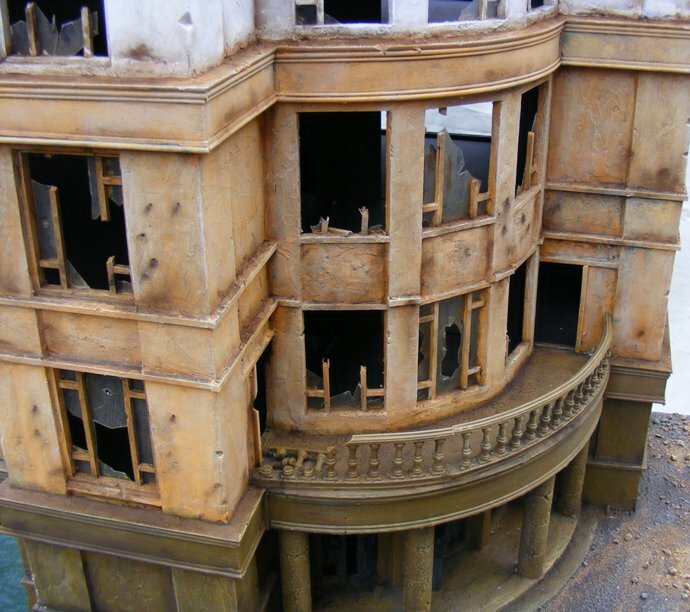 I can design them so they will fit a number of periods. 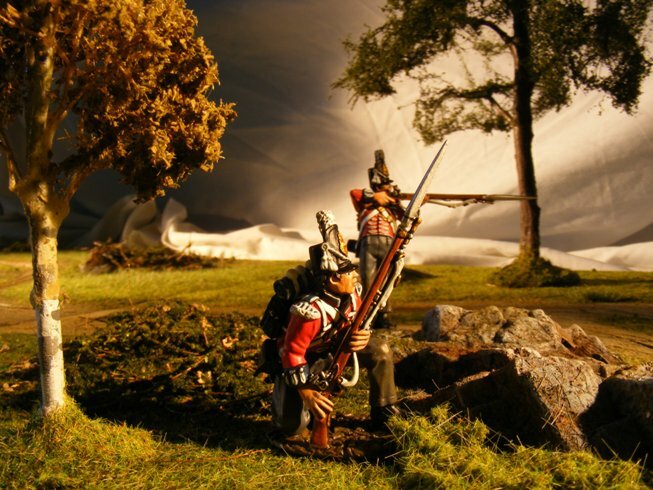 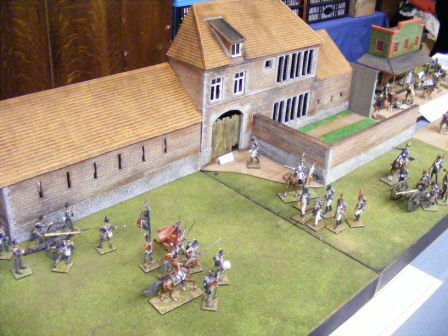 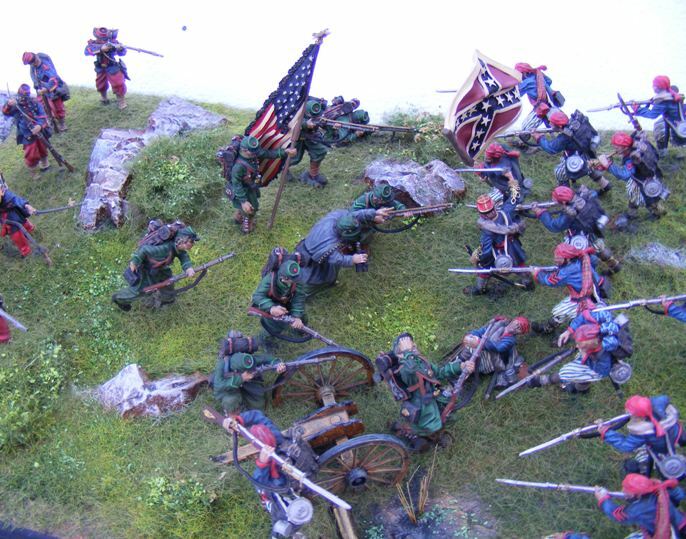 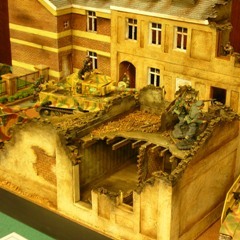 More examples of dioramas and displays include shelf sized displays. 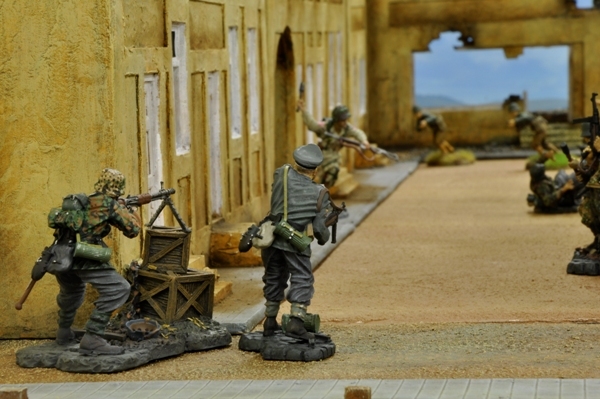 These are on 18mm thick MDF bases. 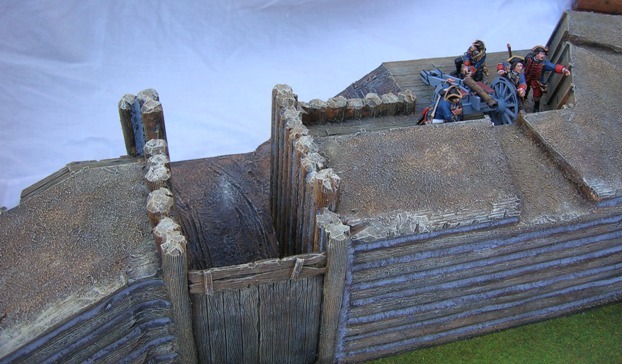 It makes an excellent foundation for whatever I build on it and can easily be cut to any size you want. 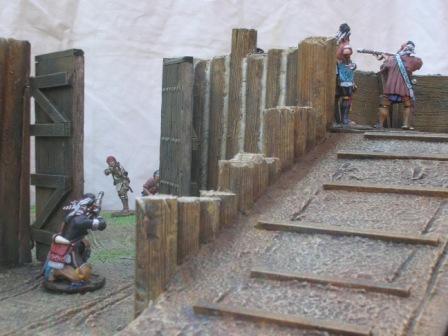 These four examples are all on 2ft long by 1 foot wide boards. 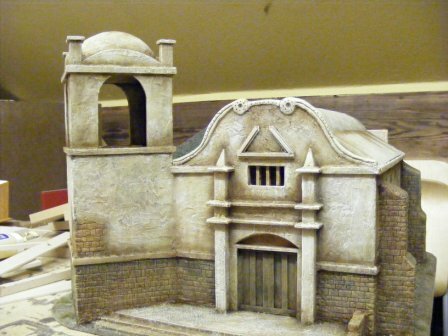 Commissions for architecture vary from the individual ruin to large hotels,churches and historical buildings. 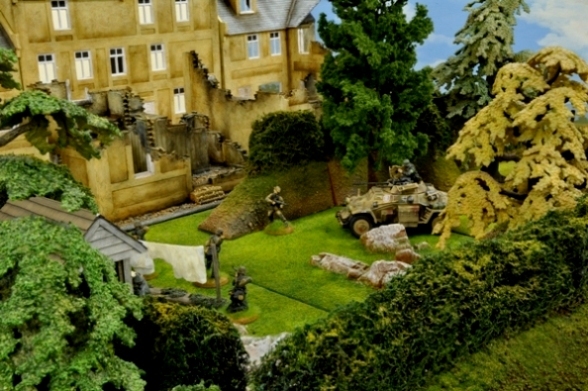 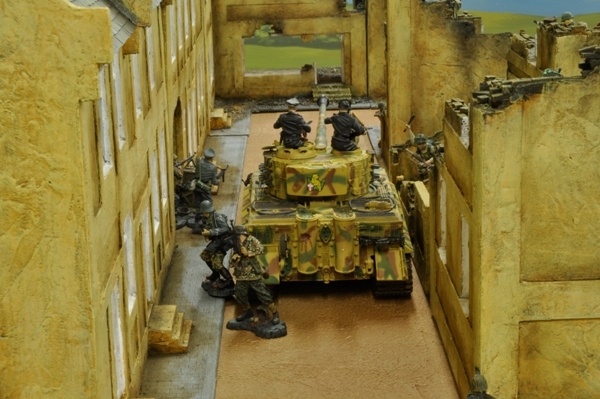 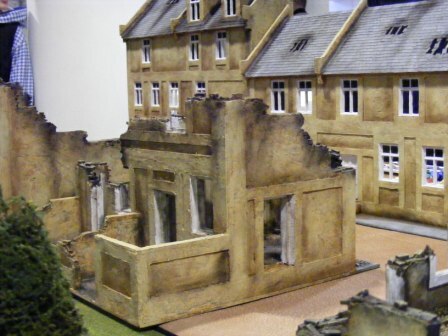 These last pictures of the Normandy town are from Wargames Illustrated magazine from a photo shoot with them in 2009. 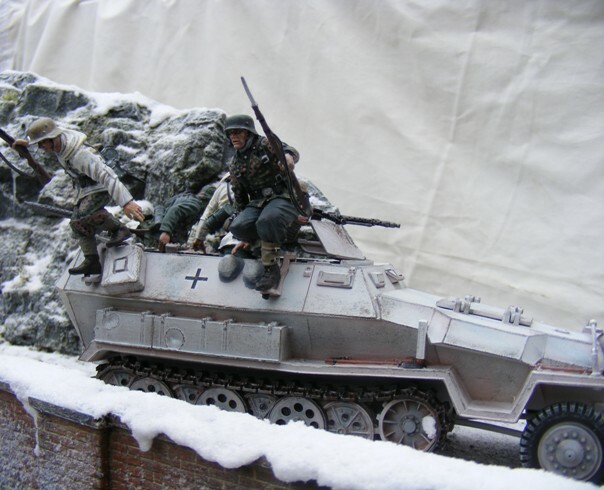 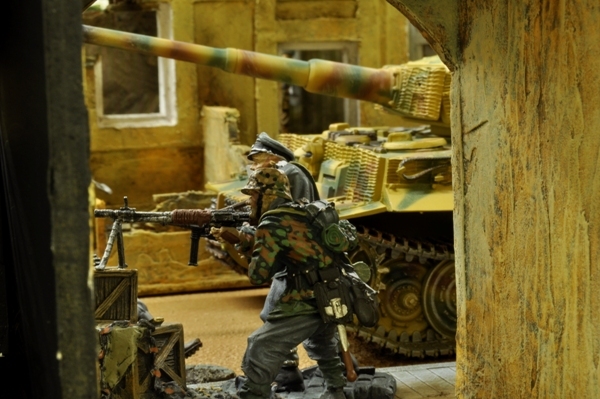 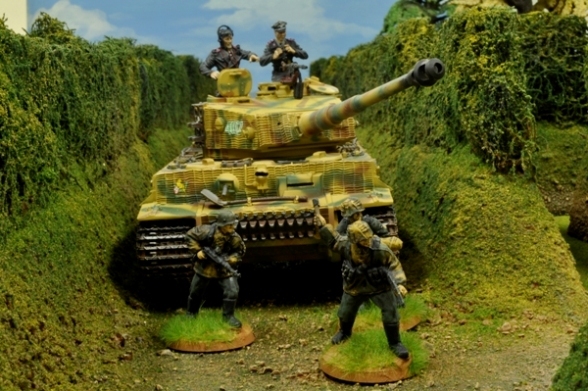 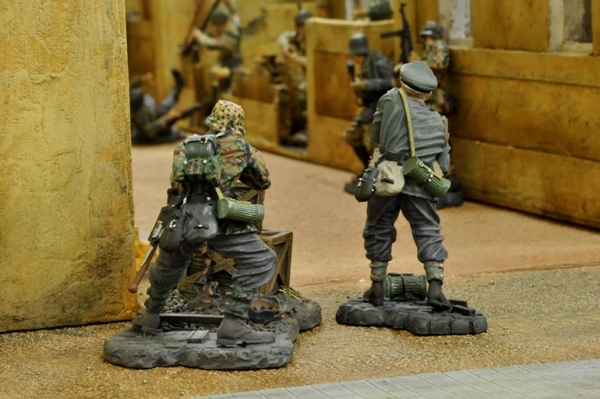 The figures are mainly Collectors Showcase WW2 with the odd plastic one painted by me. 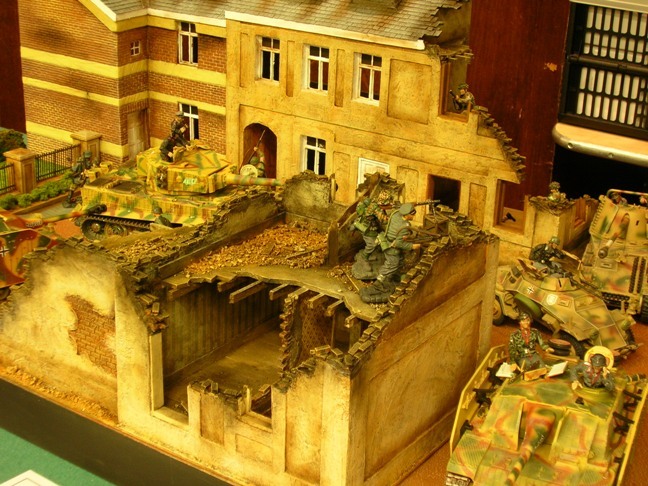 All the vehicles are by Collectors Showcase.